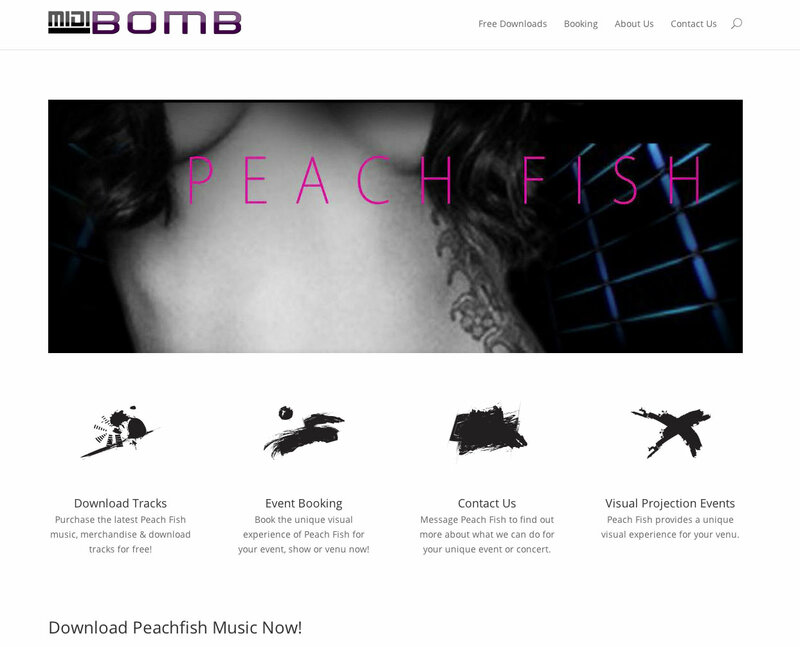 Peach Fish provide a unique visual experience at their shows and they wanted an unique visual experience online, so they choose to work with Delton Childs Media. We helped Peach Fish music establish an online e-commerce system to being selling their music online without the third party fees associated with iTunes and other online distribution websites, Integrated Email Marketing for the band so they can keep fans up to date on what’s going on and more. Check out MidiBomb.com and Peach Fish Music! 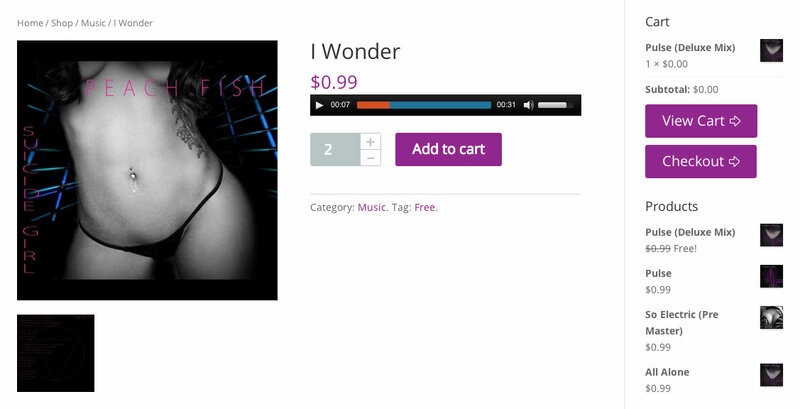 Peach Fish Music wanted a scalable solution to offer music downloads and merchandise on their online shop. We helped them create a system that would offer free, and paid music downloads as well as being able to host other product types in the future like t-shirt sales, vinyl presses of their music along with album art and more down the road. A fully scaleable solution to getting their brand selling online. Midi Bomb also provides custom projection mapping for other music groups and events and are able to take booking inquires online as well. If you are interested in working together, send me an inquiry and I will get back to you right away!